Fleas and ticks are quite the nasty bugs! Aside from causing skin irritation and feeding of your pet’s blood, they can also transmit disease which can make your pet sick. Most commonly known among these is Lyme disease, for which there is a large prevalence in the Kingston region. There are many options to prevent or treat infestations and keep your pet’s parasite free. One of the most common signs of fleas, and sometimes ticks, is an intense scratching. 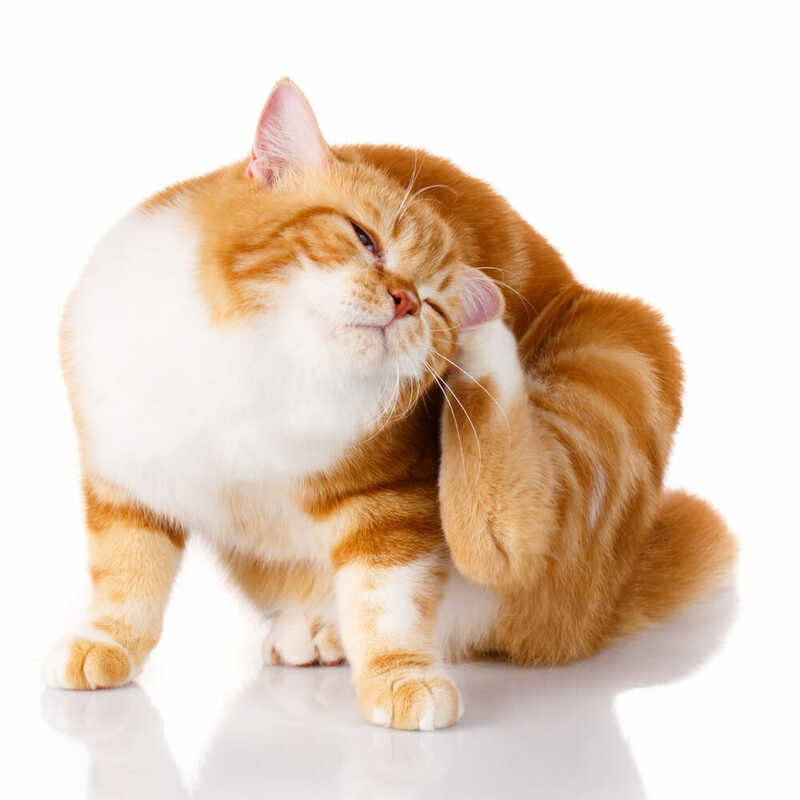 For fleas, you may also see some hair loss and scabs forming, particularly in the rump area. Ticks must be checked for and when very small can be difficult to find. Once engorged, they are more easily found and can be removed. Fleas and ticks can be treated and prevented by regular use of a veterinary approved product. There are both topical and oral forms available and are equally effective. There are bonuses to using either of the treatments and when purchased from your veterinarian, they are guaranteed so any problems that might arise, although rare, are taken care of by the manufacturer. This is not the case if purchased from an online pharmacy.